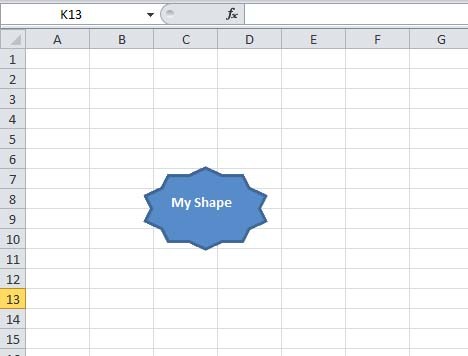 Although this method can let you insert shapes easily, the choices of shapes are still limited. To have a greater selection of shapes, you need to use the Excel 2010 VBA code. 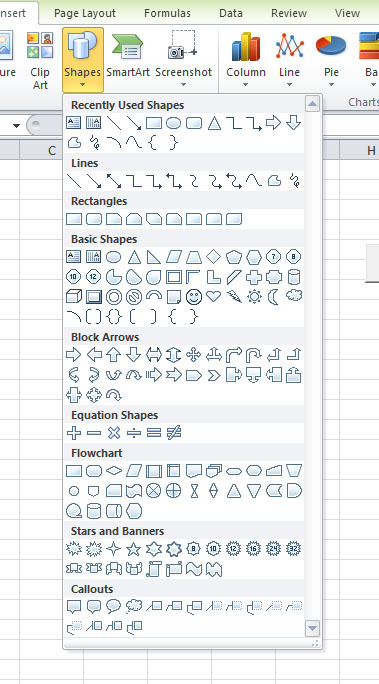 Excel 2010 VBA code allows you the more flexibility in manipulating the shapes. You can properties such as color, 3D effects, types of shapes and more to produce spectacular shapes.